The demanding selection of woods and the intelligent work done around the top and those main elements of the guitar, are translated into a beautiful sound and make it a high quality instrument with a high guarantee of durability and reliability. The Mengual & Margarit model, in its version called NT Series, is a guitar with a defined sound, sweet and with many contrasts. The power and balance of this guitar make her a good friend in the musical journey. 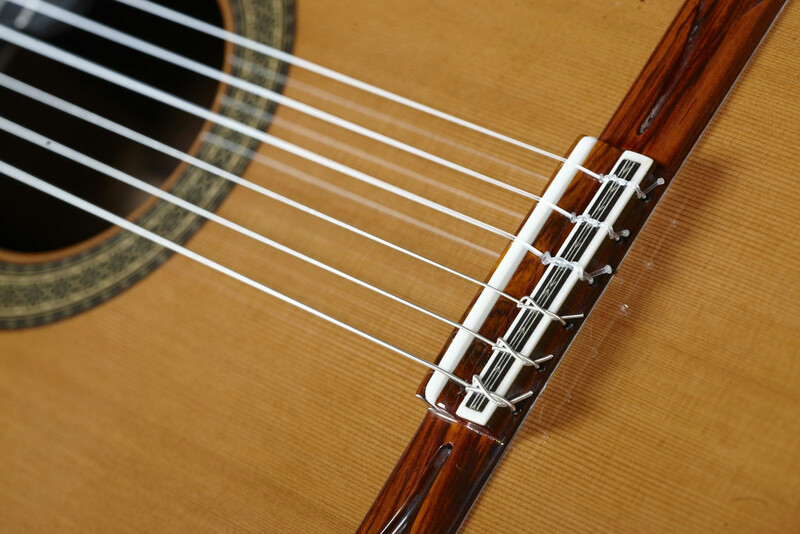 The configuration of the Mengual & Margarit NT Series, the abbreviation of New Torres, is based on the configuration recalling the one designed by the well-known creator of the Spanish guitar as we know it today, Antonio Torres. A guitar of great quality, with a beautiful sound and very suitable to face an artistic concert career, a guitar that does not go unnoticed when it is played.